Rekortan Smart systems provide effortless and precise data logging thanks to their built-in time recording systems. Data, such as running time, distance, step frequency, step length, step quantity, and more are measured effortlessly and precisely. Athletes can either run with the free Rekortan Smart app, or with the Rekortan Smart system belts and software for more robust performance diagnostics. Rekortan Smart provides athletes and coaches with the perfect solution for increasing effectiveness and efficiency during training. Timing gates are available for Rekortan Smart synthetic surfaces. 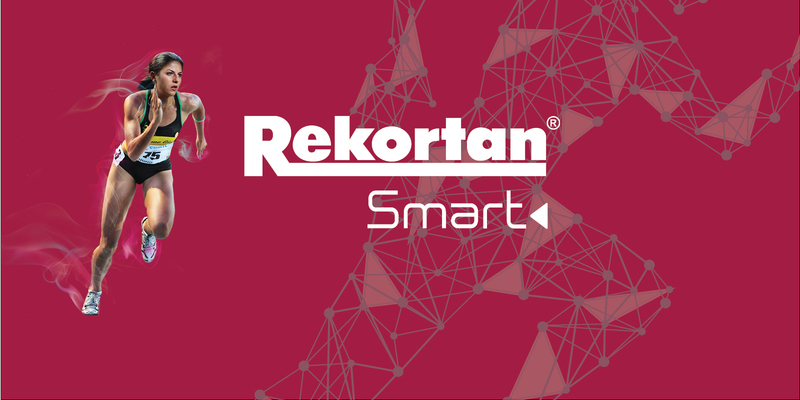 Rekortan Smart provides the measuring and server solutions. What makes Rekortan Smart different from other coaching software? Because the measurement system is built into the track, there is no set up or dismantling, the system is waterproof and vandal proof, and there is no barrier necessary for the diagnostic training areas. But what truly separates Rekortan Smart is the fact that multiple athletes can train at the same time! Coaches can evaluate data on various athletes in a realistic competition setting all at once. There is also no need for a diagnostic professional to read and report the data. Results are logged and available for immediate review by coaches and athletes.